While protruding ears, lop ears, and a variety of related congenital anomalies are not life-threatening physical disabilities, the emotional toll is potentially devastating. Ideally, correction is performed around the age of five, before school starts, to protect the child from the teasing and tormenting of peers. While malformed ears may be corrected in childhood, it is common for teenagers and adults to request it as well. Women with long hair have a slight advantage in camouflaging an ear deformity but find themselves at a disadvantage when considering shorter hair styles or engaging in certain activities, like swimming. 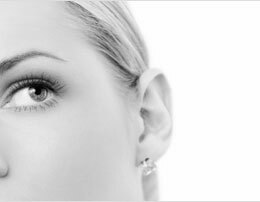 Otoplasty is an operation to correct a condition that is almost always congenital. Frequently, the condition is bilateral – affecting both ears – but there are instances where one side is more prominent than the other. Mature children, teenagers, and adults usually have otoplasty performed under local anesthesia. This operation takes about forty-five minutes per ear. Incisions are placed on the back side of the ear where they will be difficult to see. Most of the time, they are covered by hair. Most patients feel up to a desk job in one or two days after this, usually, one-time procedure. Strenuous activities, such as contact sports, are limited for the first month but most patients resume their usual level of aerobic activity a week after the operation.